Last week the United Nations Security Council unanimously adopted resolution 2149 (PDF), authorising the deployment of a peacekeeping mission to the Central African Republic. As a current non-permanent member of the UN Security Council, Australia has been directly engaged in negotiations to deploy a UN peacekeeping mission to protect the civilian population from the atrocities that have been taking place. The UN Stabilisation Mission in the Central African Republic—or ‘MINUSCA’ as it’s referred to in UN circles—is now set to join the growing number of complex, multidimensional peacekeeping missions currently managed by the international body. The adoption of resolution 2149 authorising MINUSCA is a welcome development. Inter-communal violence has increased in the Central African Republic (CAR) since the overthrow of the former President Bozizé in March 2013, and despite the presence of the African Union-led peacekeeping mission and French military forces, atrocities against the civilian population have continued to escalate. In January 2014, the Minister for Foreign Affairs of CAR asked the UN to deploy a peacekeeping mission, but it has taken several months for the UN Security Council to provide authorisation. Concerns about ‘peacekeeping overstretch’ partly explains this delay. Demand for UN peacekeepers continues to outweigh the supply from member states. The UN peacekeeping mission in Mali (MINUSMA), established in April 2013, is still only at less than 60% of its authorised strength of 12,640 uniformed personnel (military and police). Similarly, the UN Mission in South Sudan (UNMISS) is currently operating with less than 70% of its recently increased deployment ceiling of 13,823 uniformed personnel. 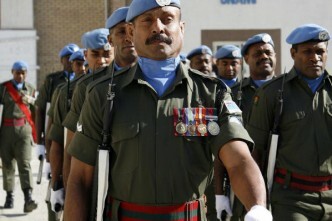 Existing peacekeeping missions don’t have the required number of personnel to effectively carry out their mandates. 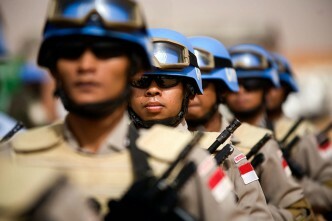 MINUSCA will further increase the demands on UN peacekeeping. Resolution 2149 authorised the deployment of 10,000 military personnel, 1,800 police and an appropriate civilian component (drawn from the existing UN political mission) in the CAR, with the military and police components to deploy as part of MINUSCA from 15 September 2014. Even with the 6,000 uniformed African Union peacekeepers that will be ‘re-hatted’ to form part of the mission, the UN will still need to find thousands more personnel by September. Barring any unexpected drawdowns in existing peacekeeping missions, the UN could be attempting to generate enough personnel to raise UN peacekeeping to its highest level of deployment in its 65-year history. The UN will also need to ensure the personnel have the right skill sets to carry out the demands of MINUSCA’s complex mandate. Resolution 2149 authorises MINUSCA to, among other tasks, protect the civilian population, support the political transition process, facilitate the immediate and unhindered delivery of humanitarian assistance, support reform of the security sector, and monitor the implementation of arms embargoes. UN Secretary-General Ban Ki-moon foreshadowed a broad range of capabilities that MINUSCA would require to deliver on its mandate in his most recent report (PDF). These include expertise in civil–military coordination, training assistance for the security sector, military observers (particularly females) who can liaise with local communities, technology platforms for surveillance operations, and experts on arms, natural resources and customs to support the monitoring of the sanctions regime. The right mix of military, police and civilian personnel who can operate in a coordinated and integrated manner will be essential to the success of the mission. The creation of yet another UN peacekeeping mission (bringing the total number of concurrent UN peacekeeping missions to 16) demonstrates that UN peacekeeping remains an essential tool to address threats to international peace and security. This is unlikely to change in the near future—UN peacekeeping inevitably brings to bear international legitimacy, sustained political engagement and financial support. 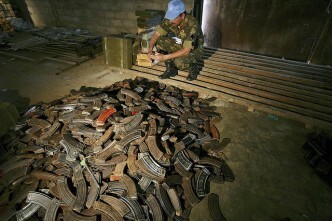 But the pool of resources, capabilities and expertise the UN can draw on isn’t endless. It relies on the political will and engagement of member states to take it forward. The lengthy 14-page mandate for MINUSCA is testament to the complexity of modern-day UN peacekeeping which demands a longer-term, coordinated and sustained approach among member states. Regardless of whether Australia decides to deploy personnel to MINUSCA (which is quite unlikely), we still have an interest in the developments that are taking place in the CAR and the implications that the authorisation of MINUSCA will have for the future of UN peacekeeping. 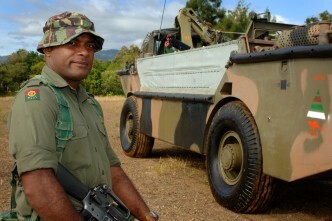 Australia continues to engage in a range of areas in support of UN peacekeeping—we supply personnel to missions in South Sudan, the Middle East and Cyprus, and we participate in the ongoing development of UN peacekeeping policy and delivery of peacekeeping training programs with a range of countries. But many of these efforts across government remain ad hoc and reactive. As UN peacekeeping is set to reach historically high levels, we should be thinking about a whole of government approach to peacekeeping that will ensure Australia understands the implications of these emerging challenges in UN peacekeeping—and remains well positioned to respond to them. Lisa Sharland is an analyst at ASPI. Image courtesy of Flickr user United Nations Peacekeeping.